Events such as the World Cup and Visit Malaysia Year have a large impact on communities and, in some cases, entire countries. The growth of festivals and events as an industry around the world means that the management can no longer be ad hoc. As a strategic marketing and communication tool, event management calls for well-trained and qualified personnel to help industries, charitable organizations, and interest groups market themselves, build business relationships, raise funds or celebrate. Practical modules in the BA (Hons) Event Management & Marketing programme allow students to apply their skills and learning to planning and delivering events. To empower students with expertise in not only the planning and execution of events, but also brand building, marketing and communication strategy, INTI is offering a new 3+0 BA (Hons) Event Management & Marketing degree in collaboration with the UK’s University of Hertfordshire (UH). The 3-year degree helps students develop competencies through international exposure, innovative learning and individual development. The curriculum includes practical modules where students can apply their skills and learning to planning and delivering events. “Employer projects and industry workshops are embedded in the programme to help students develop skills that provide immediate value to employers as they make the transition to the workplace. Industry experts are also brought into the classroom as guest lecturers to provide first-hand knowledge and information on the latest trends and developments in the sector. Students also have the option to spend a semester at the University of Hertfordshire – the UK’s leading business-facing university – for a unique international learning experience without having to pay additional tuition fees,” said Sotheeswari Somasundram, Dean of Business at INTI International College Subang. UH is an award-winning entrepreneurial university in the UK and one of the world’s top 100 universities aged under 50 in Times Higher Education’s World University Rankings portfolio. The rankings are based on excellence across teaching, research, citations, industry income and international outlook. UH scored highly for the citing of its academic research on a global scale and for its international outlook and mix. INTI’s ties with UH span more than a decade and it is the first international Associate College of the University in Malaysia. As the entire Event Management & Marketing degree can be completed at INTI, students have the opportunity to earn a prestigious internationally recognized degree without having to incur the high cost of tuition and living expenses usually associated with pursuing tertiary level qualifications abroad. They gain local access to the same content taught in the UK and will receive a degree from UH upon successful completion of the course. BA (Hons) Event Management & Marketing programme graduates are ready to assume entry-level managerial positions in event management; event management consultancy; hotel, travel and hospitality industries; advertising agencies; public relations firms; corporations; news media; non-profit organisations; and other areas. 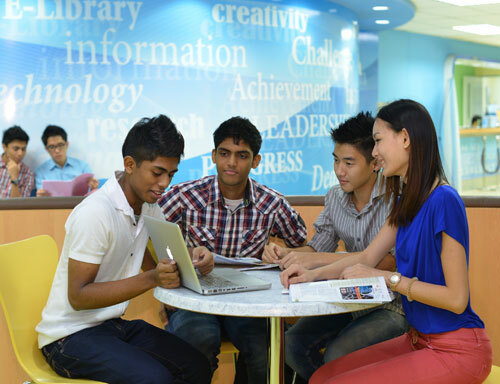 Because INTI is a part of the global Laureate International Universities network, students have access to knowledge, thought processes, best practices, academic talent and resources that bring abundant opportunities to grow. The Laureate link provides students with access to cutting edge global events such as the World Business Forum and Clinton Global Initiative, where they can learn from top global leaders discussing issues affecting the world today. This provides an international learning experience beyond Malaysia as part of their studies and as part of their world class education. For further information about INTI’s 3+0 BA (Hons) Event Management & Marketing programme, please call 03-5623 2800.